21113 Shepard Lane, Abingdon, VA | Lakefront Living | Highlands Realty, Inc. 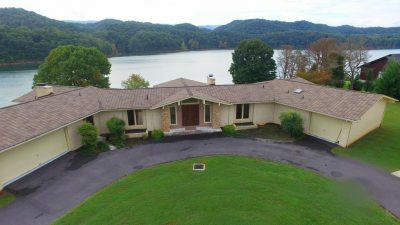 Luxury lakefront living on beautiful South Holston Lake. Spacious 3,700+ sq. 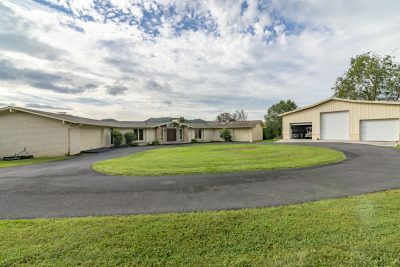 ft. home sitting on ~7.64 acres. This property is a must-see to appreciate all the beauty offered. Would you enjoy this view every day? Then read on to find out more about this Abingdon, VA home. 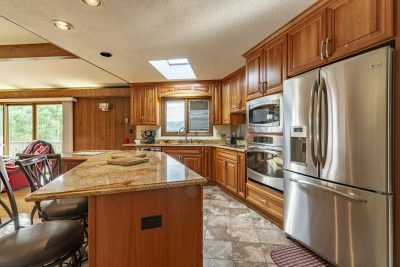 Upscale kitchen offers upgraded appliances and fixtures, newer cabinets and beautiful granite counters. The kitchen opens to the den complete with soothing lake views from every window and a stone fireplace to enjoy on the cool winter days. You’ll love how convenient entertaining is with the open dining and living rooms . 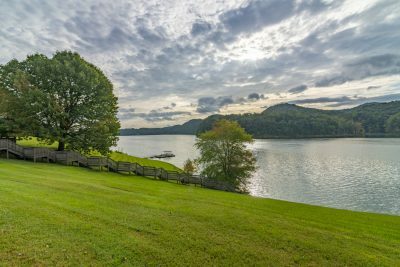 The beautiful backdrop of South Holston Lake is a view that can’t be beat! With easy access to the large back deck, outdoor entertaining is a breeze. The outdoor fun will continue as you make your way down the stairs to the private boat dock to enjoy a peaceful ride around the lake (or if you’re feeling adventurous, spend some time skiing or tubing) or find a cove to try your luck at fishing for the evening. 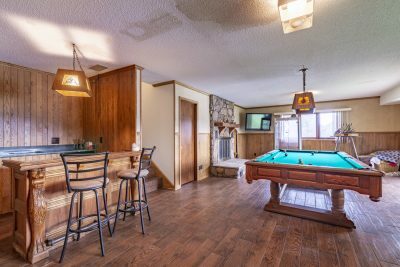 The spacious lower level offers additional living space and could be used as a man cave, teenager retreat, or hobby space. The heated floors and stone fireplace are added bonuses of this space. 21113 Shepard Lane has many updates including a new roof and a newer large detached garage/workshop. 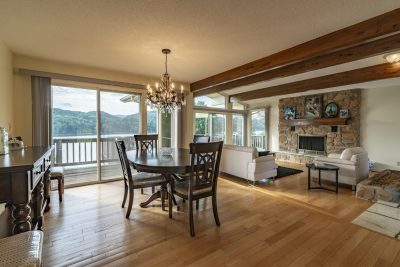 If you’re ready to make the move to the lake life, contact us to see this one!